I normally find January a long and boring month, but this year I am enjoying the cold days as an excuse to stay in our new home. Yes, I am craving spring already, but I am happy to stay snuggled up with my family and a hot chocolate for a while longer. After all the excitement of Christmas, we are back into our daily routine of school with Alice. Holly also started preschool last week and whilst she is only going one morning a week to start with, I definitely feel like my girls are growing up. Thankfully Holly is loving preschool and that has definitely helped when I am at home with a quiet house. 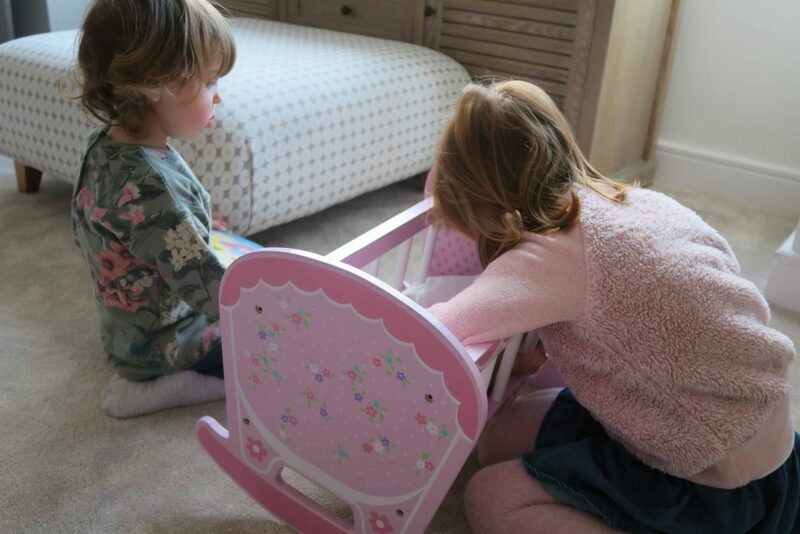 Alice is such a great big sister, she took time to make sure that Holly was ok about going to preschool. And as we waved Alice into school, she ran back to tell Holly to have a lovely time at preschool and to tell her all about it later. Honestly she is like a old lady sometimes, but its so sweet. 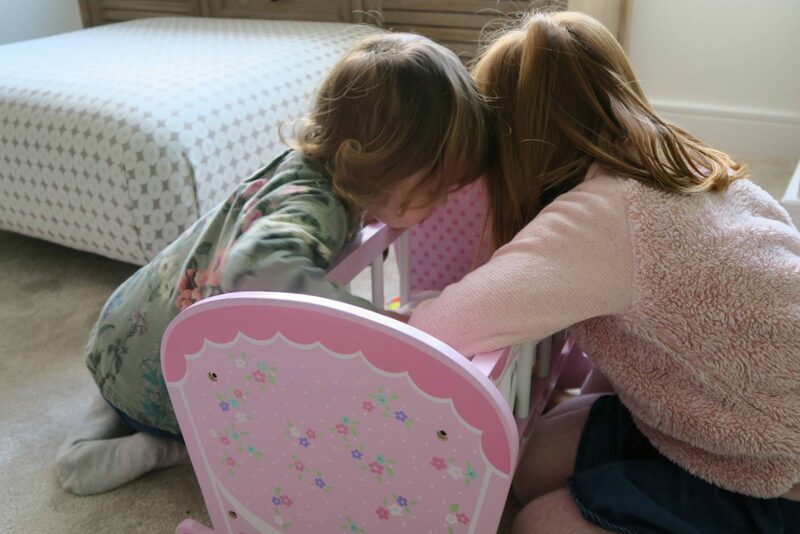 My girls have adored each other from day one and Alice still talks about the day she came to meet Holly in the hospital. 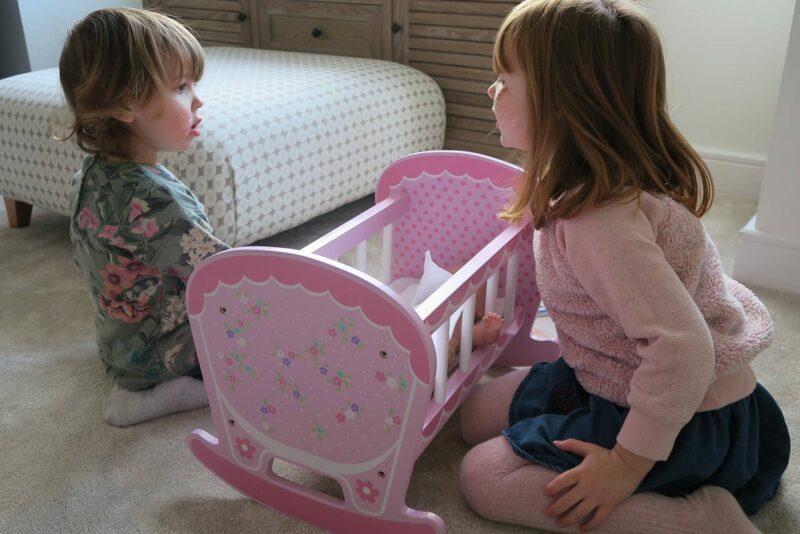 Yes, they bicker and argue, but that is what being a sibling is all about. But generally they just want to be with each other. They have played together for as long as I can remember, but every month as Holly gets older it becomes even more fun to watch them. 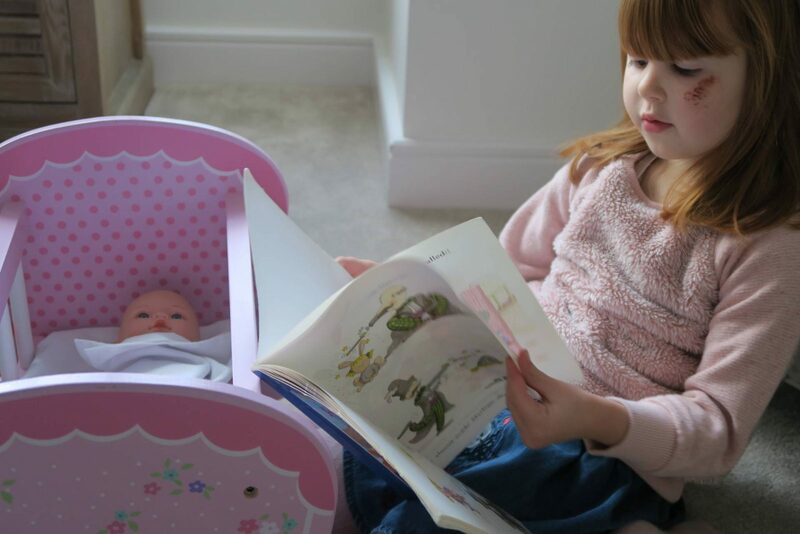 They put shows on, play shops and one of their favourites is mummy’s and their babies. I honestly could watch them all day long and I love it when I capture these moments. 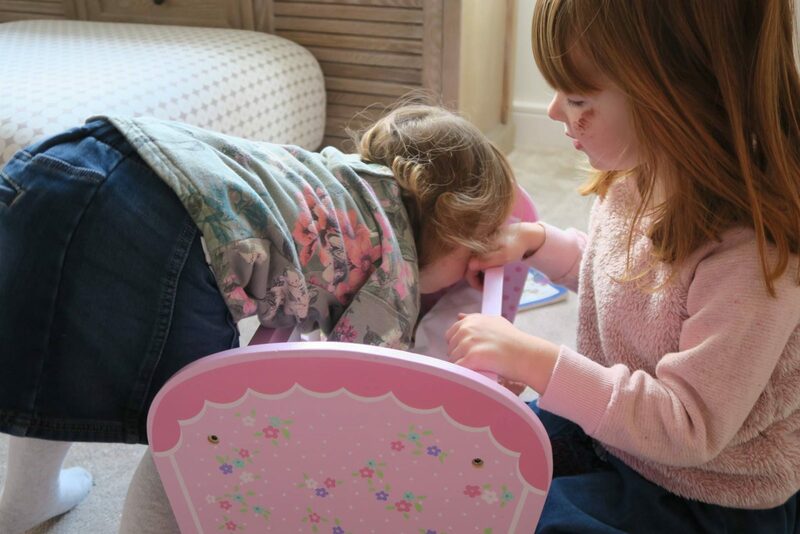 I wasn’t planning on these being my photos for this post, but when I looked at them they are the perfect pictures to show my girls this month. 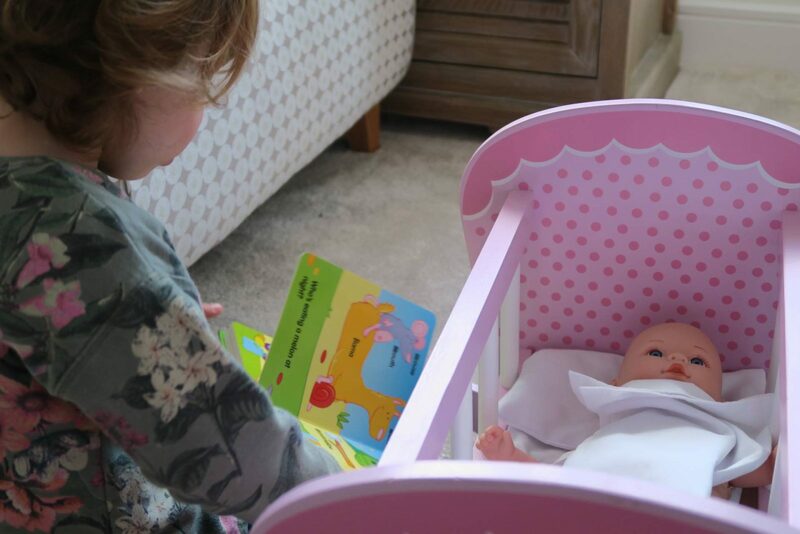 They are playing their favourite game and are reading to the baby. Taking it in turns to make sure baby is ok and to give her a kiss goodnight. It did make me think about if that doll was a third sibling, is this what they would be like? It was a very sweet moment and these are the moments that I know I would forget if it wasn’t for capturing them with my camera. 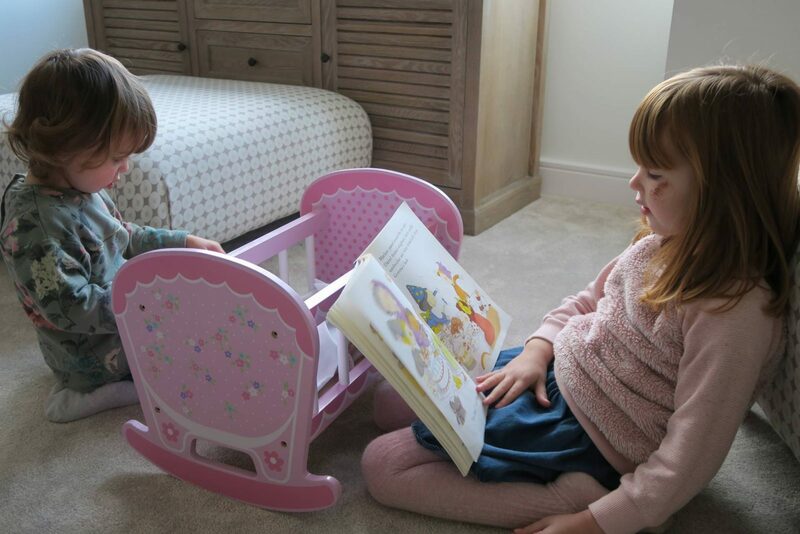 Here are my girls in January in our new home, playing together…. Oh what sweet photos! In answer to your question, my experience is that about half the time that’s how it would be and the other half they’d be saying “baby cry Mama!” “Come ON Mama!” – it was like having a tiny health visitor with me at all times!! They sound so sweet together, my two are generally just like this and always asking after the other it is heart warming to watch isnt it? Honestly Laura your girls are so sweet and so similar to my two by the sounds of it! We really should try to get the four of them together one day to play, they’d have such a wonderful time. We’re definitely enjoying some time indoors this month too. Oh such precious photos and memories too. I love how they play together!